Please participate. Ask your questions, they need to be heard. to bring Idahoans together for a serious discussion on Common Core. The Forum will take place on Wednesday, January 22, 2014 from 3:00 to 5:00 p.m. in the Lincoln Auditorium in the Senate West Wing (WW02) of the State Capitol. 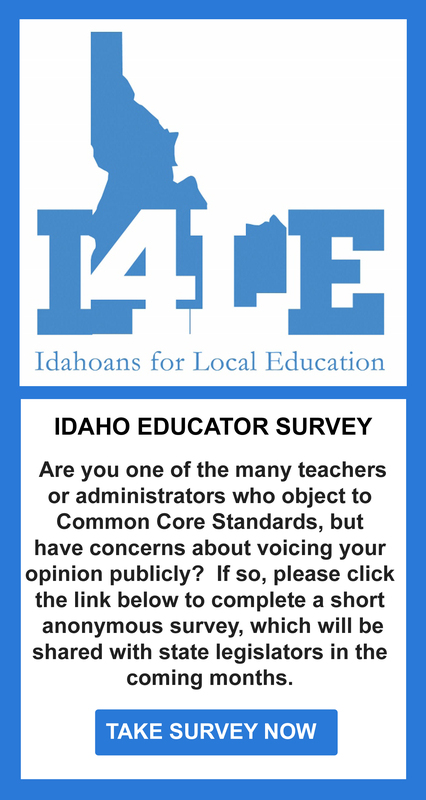 All questions must be submitted by Friday, January 17, 2014 at 5:00 p.m.
regarding the Idaho Common Core Standards. via the IPTV website at www.idahoptv.org (click on Legislature Live) or directly at www.idahoptv.org/leglive.